Adding glass decorations, especially glass bowls, adds charm to your home’s aesthetics. Be it in the living room, the kitchen or in the middle of your dining room, glass bowls increase your space’s charm and appeal. 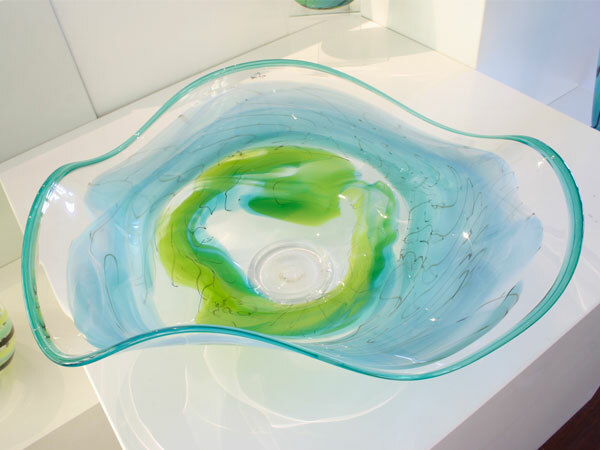 Höglund Art Glass provides interested clients with handcrafted art bowls. If you are looking for the perfect centrepiece or aesthetically appealing tableware, browse through our selection of art bowls. Our bowls are not only collectible, but they are also the perfect complement to special spaces in your home. 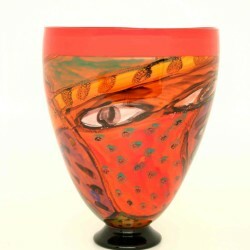 Our wide selection of art bowls are also great as gifts to your friends and loved ones. Our art bowls are hand-blown; each bowl is handcrafted to perfection. All of our bowls are unique; no two are the same. 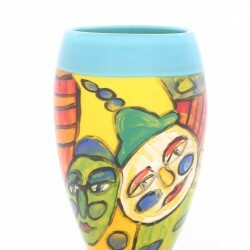 Each piece is unique, which increases their value for your homes. We offer bowls with flat surfaces, as well bowls on stand. Our glass bowls come in different colours, such as orange, blue and aqua. Our bowls serve as attractive centrepieces and containers for your fruits and flowers. Increase your home’s appeal with our glass bowls. As mentioned, each bowl is unique, assuring clients of no duplicates. You can also send art bowls as gifts to friends who appreciate glass art. SKU: OLAwavebowlaqlime54x42x20. 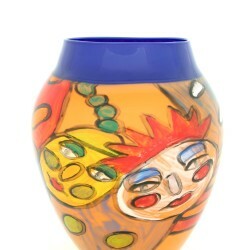 Categories: Bowls, Current Work, Masterpieces, Platters, Singular Works.